Do you sell your handmade items? 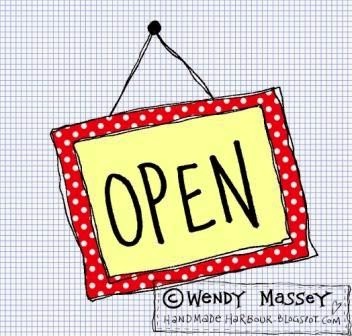 Have you opened an online shop? If so, are you getting enough customers to keep you busy? This post is aimed at helping you identify ways you can increase sales. For craft makers, moving your small business online is a really positive thing to do. It means your shop can be "open all hours" - even when you are asleep. It means that anyone, anywhere in the world, could spend money there. It means you can sell without setting foot out of your front door (how welcome is that idea on a grey, wet and windy January morning?). If you are still thinking about dipping your toes into online selling, let me tell you it's really easy to get started: online market places like Etsy, Folksy or even good old eBay make it really easy to open a shop and connect with customers. Even having your own website and using PayPal as a payment gateway is quick and easy to do - it's accessible to anyone. But - and this is a very big but - you then need to get people in the (virtual) door! Your web shop, without promotion, is like having a shop in a long-forgotten back street, far from anywhere. How do you get people to visit it? It's a question that comes up on a regular basis on all the craft forums. There is no magic formula to floods of customers, but there is quite a bit you can do. 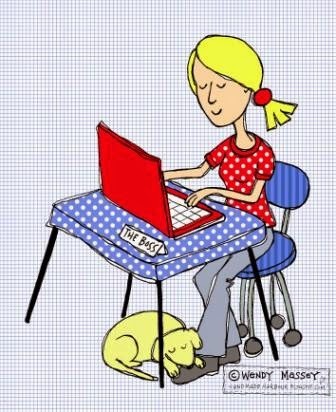 Write a blog. This is a great option for anyone who likes writing, taking photos and/or connecting with other people. While your online shop is the place people will go to buy things, your blog is where you can show off your new products, your personality, your methods of working and build your brand. Blogger is easy and free to use. It can also provide a doorway to your shop via links. The more entrances to your shop, the better! You'll find, if you use key words, that your blog will get listed in search engines long before your website will. Use it for promoting your goods, but not in a salesy way - many of the people who will come across it in internet searches are actively looking for what you are selling. It's often said that people buy from people and not from businesses, so get social on social media. Twitter, Facebook and Pinterest are great tools for linking with people. There's no doubt that folk do buy from other people they meet on these places (I have bought and sold on Twitter). 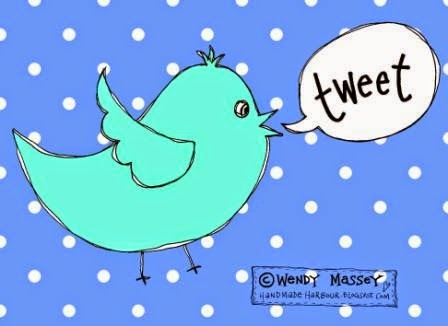 It's important to note that filling your Twitter feed with links to your shop is very off-putting - social media isn't about spamming people with links, it's about being social. So - what can you chat about? What can you offer your followers? Get your products featured in a magazine. How? A great start would be to sign up for Press Loft - this is a really easy-to-use service which gets your products in front of the journalists who write the product pages in magazines. There's a 60-day free trial for any brands new to Press Loft, with no pressure to continue if it's not for you, so you can't really go wrong. Magazine features should not be confused with advertising - editorial features are always better than ads (and free!) and Press Loft is all about getting those editorial slots for you. 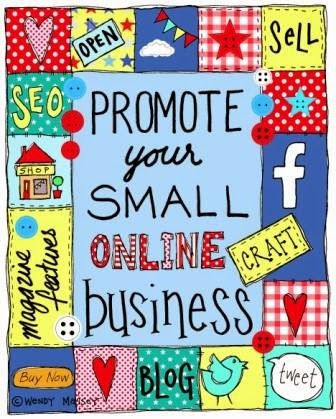 If you have a stall at a craft fair or any other event, make sure your customers know they can shop online too. Hand out business cards like sweets! I discovered that the busier events can send online customers your way for well over a year afterwards. You can easily check if this is working by adding a "where did you find us?" question in your PayPal checkout. 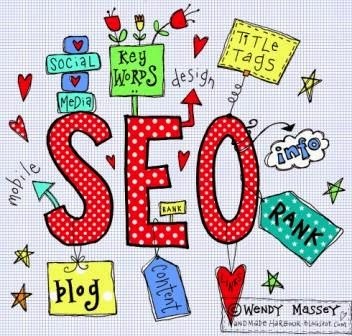 Read up on search engine optimisation (SEO). Basically, SEO is about making sure your site (and your blog!) gets found and listed in search engines. The basics include key words, good customer feedback (on an independent site) and relevant links from reputable sources. Don't worry too much about SEO, just get to grips with the basics - if you write primarily for your audience/customers you may find you already have a lot of it covered. Speaking of SEO, as well as making sure you have key words in place on your website and blog, don't forget the importance of naming images! Give them all titles which make sense (your camera might label an image SAM_1553, which means nothing to a search engine. Rename it using a key word for that product). Lots of people use Google images to search for products they want to buy and labelling images means they are much more likely to find you. Get the basics in place - payment buttons, good clear photographs, contact details. People are likely to click away if they can't see an easy way to buy - or can't work out what your product is! There's no excuse not to have a "buy now" or "add to cart" button, because PayPal makes it so easy. Make sure people know how to buy, when to expect their product, and that they can contact you easily in case of problems (a land line number is preferable, but your physical address should be on there too - it's a legal requirement in the the UK. Please check the regulations in your own country). Social media is used by many for contacting businesses with questions - be as available as possible! I hope that helps! Please feel free to add your own tips by leaving a comment. Disclosure: the link to Press Loft is an affiliate link. I have used their services (more about that in another post) and wholeheartedly recommend them for getting national magazine and newspaper exposure with minimal effort. Images: Please do not use the images within this post without written permission, unless it is for the purpose of linking to this page. My images are available for licensing via IBD Licensing. 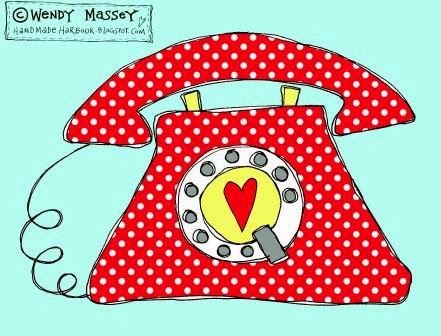 Great advice Wendy, didn't realise that about images, checking and renaming them is now on my to do list. Ever since I was in college I want to have my own business until I decided to start an online business and it is doing well so far. This was such an amazing read. I always find something interesting in your blogs and at artisna.com as well. That is a wonderful place to buy Artisan Handicraft goods online. Anyway, thanks so much and congrats on your articles! !